The only female music director in the Hindi film industry for five decades celebrates her birthday on October 7. An abiding mystery for several decades in the Hindi film music industry is the almost complete lack of female composers. Nobody has the answer. Is there a barrier to their entry by film-makers and male composers? Do the females lack the talent and the smarts to become composers? Do they find other sectors of film music, such as singing, more glamorous or fulfilling? Do they feel that they will not be taken seriously by the film-makers, singers and musicians? Do they feel that the sector is too competitive? Do they feel that talent is not enough and networking and kowtowing would also be required - something that they are not comfortable with? Is it because they are coy about interacting with men at all levels of the food chain - the film-maker, the lyricist, the clarinet player, the percussionist - and taking their language, their jokes in stride? Is it because they don't have the patience for the endless hours of "sittings" before a tune is okayed and they rather take the easy route to fame? Is it a demand-side issue or a supply-side phenomenon? Your guess is as good as mine. Usha Khanna celebrates her 76th birthday on October 7. The third woman music director, after Jaddanbai (in the '30s) and Saraswati Devi (from the '30s to '50s), she has been the lone female representative in the "men's only" club since 1959. She has been active for four decades and this longevity speaks volumes of her talent and tenacity. She hasn't hung up her boots yet and does the odd film or TV serial these days. By her own account, she did not face any opposition from any quarter and is herself stupefied by the mystery of the missing female baton. She has claimed that all the artists were very good to her. Nobody tried to put her down or patronise her. They would always appreciate good music. However, she did face many challenges. She was only 17 when she entered the recording studio. On the very first day, she was whistled at. But when the musicians were informed that she was the composer, they went quiet. She went up to all the musicians and made it clear that she was the boss of the recording studio. She told them that they were working under her and if any of them felt otherwise, they were free to leave. Nobody gave her any chance of survival, let alone make her mark. The rumour mills had it that she wasn't really composing the tunes; someone else was composing for her and her name was being given as a publicity stunt. She had to switch over to sarees from frocks to be taken seriously. In the '60s and '70s, film music composing was marked by informality and unstructured method of working. Film-makers did not think twice before inviting composers for late night sittings; many times, sitting rooms were dispensed with for, say, a trip to Khandala for an uninterrupted session of listening to and approving tunes. And there was the drinking to get into the mood. Usha was uncomfortable with this method of working and preferred a professional work environment, with work being done at regular hours, which of course did not happen too often. She also had to battle rumours about affairs, her sexual orientation, and drugs. Consequently, she did very few big banner films and had to be content with low budget films. But she motored on, determined to prove herself. 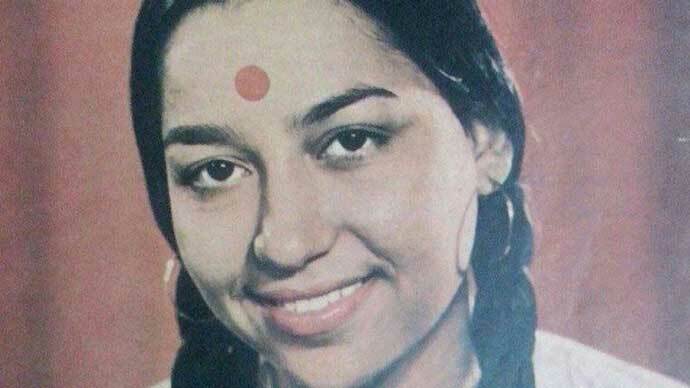 Even after making music for about 250 films, including regional films in Tamil, Telugu and Gujarati, Usha Khanna did not receive the kind of acclaim that she deserved. She never got invited to the high table. Usha Khanna's father Manohar Khanna used to work for the Maharaja of Gwalior. He was fond of music and wrote poetry. As a youngster Usha Khanna used to sing his songs after composing tunes for them. She was not a trained musician and her talent was God-given. After coming to Bombay, Manohar started working in the film company of Jaddanbai as a writer. The noted lyricist Indeevar was a family friend. Impressed with Usha Khanna's talent, Indeevar took her to meet Sashadhar Mukherjee, the noted film-maker and founder of Filmalaya Studios. Usha Khanna sang a few songs but Mukherjee was unimpressed. Even after making music for about 250 films, including regional films in Tamil, Telugu and Gujarati, Usha Khanna did not receive the kind of acclaim that she deserved. Then Indeevar told Mukherjee about her composing skills. He wasn't interested but nevertheless told her to play a few tunes on the harmonium. When he heard her, he couldn't believe the tunes had been composed by her. Indeevar made her compose tunes for some dummy lyrics. After listening to them, Mukherjee asked his sons - Joy and Dev - to join him. He remarked to them that her music sounded just like OP Nayyar's and that she deserved a break. She was asked to come to Filmalaya office for next one year to compose four new tunes daily. Unbeknownst to Usha Khanna, OP Nayyar, known for his high fees and arrogance, was not Mukherjee's favourite person those days even though he had delivered him a huge musical hit in Tumsa Nahin Dekha (1957) a year earlier. Here was Usha composing in OP Nayyar's style at a fraction of his cost. This was a godsend for Mukherjee to have his cake and eat it too. Usha was handed over the musical directorship of Dil Deke Dekho (1959). Any listener could be forgiven to mistake the composer to be OP Nayyar. Even OP Nayyar was surprised to hear the remarkable similarity to his own music. When he first saw Usha as a shy teenager, he could not believe that it was she who had composed those songs. He gave her his blessings and called her his Putri Paathshaala (daughter-student)! The songs were a big hit. Just consider this fabulous collection - from the title song "Dil Deke Dekho", to "O Megha Re Bole" (the first song she recorded), "Bolo Bolo Kuchh Toh Bolo" ("Pyaar ho toh kehdo yes, pyaar nahin toh kehdo no" - such a matter-of-fact solicitation had never been attempted before), "Pyar Ki Kasam Hai", "Dilruba Meri Neeta", "Yaar Chulbula Hai", "Bade Hai Dil Ke Kaale", "Do Ekum Do", "Rahi Mil Gaye Raahon Mein", and the ultimate romance-soaked "Hum Aur Tum Aur Yeh Sama" (after all the songs had already been picturised, Shammi Kapoor asked Usha Khanna to play a new tune for him. After listening to the tune, he told Mukherjee that he wanted that song in the film at any cost and thus was born this song). The songs were exuberant, feel - good, youthful and created a rage. Usha had arrived. Rafi sang all the songs - solos and duets (with Asha Bhosle) and what a wonderful job he did. Usha Khanna was all praise for Rafi's humility. At the recording of one of the Asha-Rafi duets she was not fully satisfied with one part of the song, but was hesitant about telling him. He sensed it and told her: "Usha, tumne humse nahin seekhna. Hamein tumse gaana seekhna hai." Rafi and Usha Khanna would make a formidable pairing and have many hits. Post Aradhana, Rafi's self-confidence was at its lowest ebb and it was Usha Khanna who repaid her debt of gratitude to Rafi when Rafi was voted Best Singer by Film World magazine for his empathetic rendition of "Teri Galiyon Mein Na Rakhenge Kadam Aaj Ke Baad" from Hawas (1974). Bombay's Shanmukhananda Hall was jampacked when it came to be announced that Rafi had been voted Best Singer. The moment Rafi was pronounced the winner, he was a man transformed. All of Rafi's shaken singing confidence thus returned in one stroke - it was his first award in years. Usha Khanna was most active from the '60s to the '80s. Consider some of the songs from her formidable oeuvre - Mukesh's "Chhodo Kal Ki Baatein" from Hum Hindustani (1961); Rafi's "Dil Ke Aaine Mein Tasveer Teri Rehti Hai" from Aao Pyaar Karein (1964); "Maine Rakha Hai Mohabbat Apne Afsane Ka Naam" and "Yeh Teri Saadgi Yeh Tera Baankpan", both from Shabnam (1964; written by Javed Anwar, which was the pen name of her father); "Haye Tabassum Tera" from Nishan (1965; lyrics again by Javed Anwar); "Hum Tumse Juda Hoke" from Ek Sapera Ek Lutera (1965); Manna Dey's "Apne Liye Jiye Toh Kya Jiye" from Badal (1966); Mukesh's "Chaand Ko Kya Maaloom Chahta Hai Usey Koi Chakor" from Lal Bangla (1966); Rafi's "Teri Galiyon Mein Na Rakhenge Kadam" from Hawas ( 1974); Yesudas' "Madhuban Khushboo Deta Hai" from Saajan Bina Suhagan (1978) and "Dil Ke Tukde Tukde Karke Muskurake Chal Diye" from Dada (1979) which fetched him the Filmfare Award; Rafi/Manhar/Hemlata's "Tu Is Tarah Se Meri Zindagi Mein Shaamil Hai" from Aap Toh Aise Na The (1980) - this was her last song with Rafi and he warmly embraced her after the recording and complimented her on the composition. She gave music for several Sawan Kumar Tak films (she was briefly married to him). He was the writer, producer, director of his movies, so Usha Khanna found it easy to work with him. He also wrote some songs in his films. They both shared a great rapport. In Souten (1983), all the songs were chartbusters. "Shaayad Meri Shaadi Ka Khayal" became a craze, as did "Zindagi Pyaar Ka Geet Hai". She received a Filmfare Award nomination for the film. In B-grade films, she found a way of staying inspired and creative. While composing a Mukesh song, she imagined she was composing for Raj Kapoor; for Kishore's songs it would be Dev Anand and for Rafi's numbers, it would be Dilip Kumar. She never compromised on quality. The one criticism that dogged Usha Khann throughout her career was the lack of a distinctive signature, a unique identifiable compositional style which all music directors have. She did not develop any style of her own. In her defence, she has stated that she would always try to follow the winning trend. Music director Laxmikant's wife mistook "Teri Galiyon Mein Naa Rakhenge Kadam" as her husband's song and, despite Laxmikant's denial, got enlightened when the radio announcer announced Usha Khanna's name as the composer! The other criticism, which began from her very first film, was that of plagiarism. She claims that she did not plagiarise any tune, just picked up the basic style and tried to add something of her own. "Dil Deke Dekho" included some songs inspired from popular Western tunes. The title tune was a rip-off of "Sugar in the Morning", though the orchestration and the look and feel of the song were her value addition and took the song to another level. Usha Khanna claimed that she was expressly asked to use that tune by Mukherjee. Usha was fascinated by Arabic music and used a lot of it in her songs. She felt it was closer to the Indian style as compared to Western music. She sang several songs too but since composing was her main profession, she did not venture much in that direction, lest her composition got adversely affected. One such song was "Shaam Dekho Dhal Rahi Hai" with Rafi in Anjaan Hai Koi (1969). Also remember the brief female humming /singing in "Pal Bhar Ke Liye Koi Humme Pyaar Kar Le" with Kishore in Johnny Mera Naam (1970)?Though her main artists were Rafi and Asha, Lata too did some great songs with her. The first song that she sang for her was "Majhi Meri Kismat Ke" (Hum Hindustani). Later, Lata became quite friendly with her. Sometimes she would just drop in unannounced at her place if she wanted to avoid a recording. Then the composer would call Usha to ask if Lata was at her place and Usha Khanna would lie that she wasn't. Then the two of them would spend the time chatting and laughing. But before that, there arose a misunderstanding too which lasted 13 years. Her devotion to Rafi made her encourage and introduce his voice-alikes - artists like Vinod Rathod, Shabbir Kumar, Mohammed Aziz, Pankaj Udhas, Sonu Nigam and Udit Narayan. I met Usha Khanna at her modest apartment in Mumbai a few years ago. We spent a memorable afternoon talking about her life and her music. She had just returned from the recording of a song of Souten 2 with Javed Ali. Surprisingly, she seemed to have forgotten some of her famous tunes, which I had to then hum for her. She would smile once she remembered and then take over. I was honoured to have heard Usha Khanna sing a few of her popular songs to me. She had wonderful words for Rafi. She narrated the incident when she felt embarrassed to approach him, when a song hadn't gone to her satisfaction. Rafi found out and asked Usha Khanna why she hadn't ordered a retake. As the music director, she had the right to order him and he would have abided willingly. She narrated a very interesting incident involving Kishore Kumar. Once a Kishore recording of "Zindagi Pyar Ka Geet Hai" from Souten had been scheduled. All the musicians were ready. 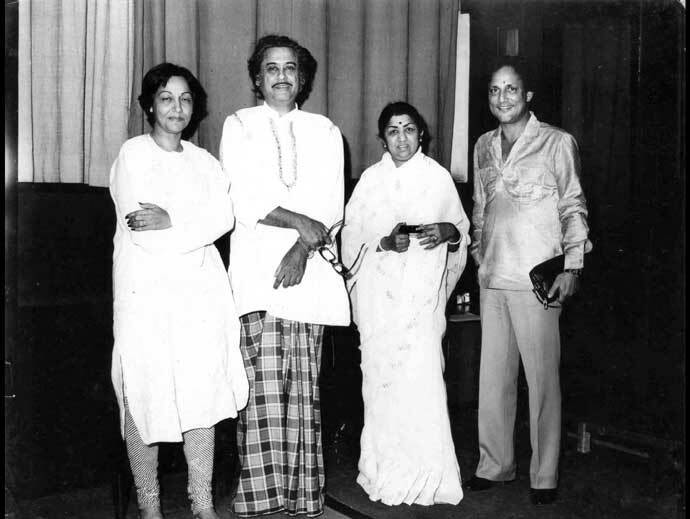 Then Usha Khanna received a phone call from Kishore that he wouldn't be able to come for the recording as he was not feeling well and advised her to record the orchestra track that day. After a few minutes, just when Usha Khanna was getting ready for the orchestra recording, Kishore walked into the studio. He told her that he had listened to a wrong demo-tape from another composer and had felt that the tune was not good and had decided to cancel the recording. But then he had found the actual tape and after listening to it he changed his mind. About technology, she admitted that while one could record the singer and instrument tracks separately and then mix them together, the effect one got of recording singers together was altogether different. She gave the example of "Shaayad Meri Shaadi Ka Khayaal" (Souten), where one could feel that the singers were enjoying singing together. Lata's "Arey Nahin Baba" was done on the spur of moment as a reaction to Kishore's antics. It was not planned but added so much to the song. That element was missing in contemporary songs. Usha has said that behind every successful woman, there is a woman. And that's Goddess Saraswati. Here's hoping that Goddess Saraswati opens the doors of the recording rooms to other female music directors as well. She has already admitted Sneha Khanwalkar, known for her score for the film Oye Lucky! Lucky Oye! (2008). On her birthday, we are grateful to this pioneering and long lasting wonderful composer for the memorable music that she has given us. Instead of Shammi Kapoor asking Asha Parekh "Pyar Ho Toh Kehdo Yes", Usha could well be asking us the same, and the answer is a resounding "yes". The writer is a former revenue official.